I’ve been in an organizing zone lately. I get that way sometimes and lately when I go to find a recipe, I’ve got to search through what feels like a thousand pieces of paper to find what I need. 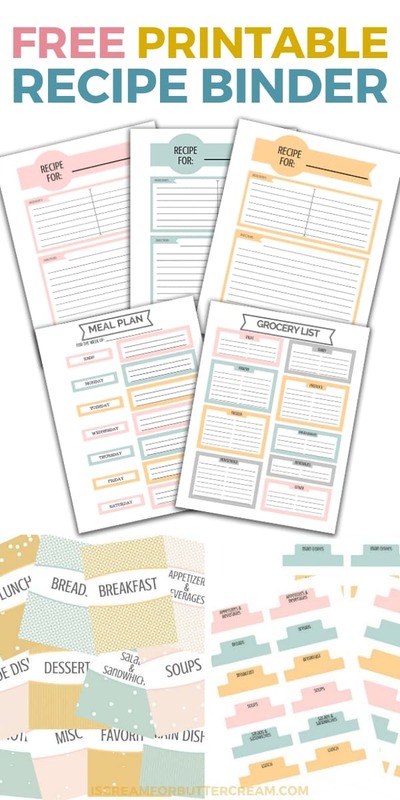 I decided to design some printables for a recipe binder, so I could get everything organized. 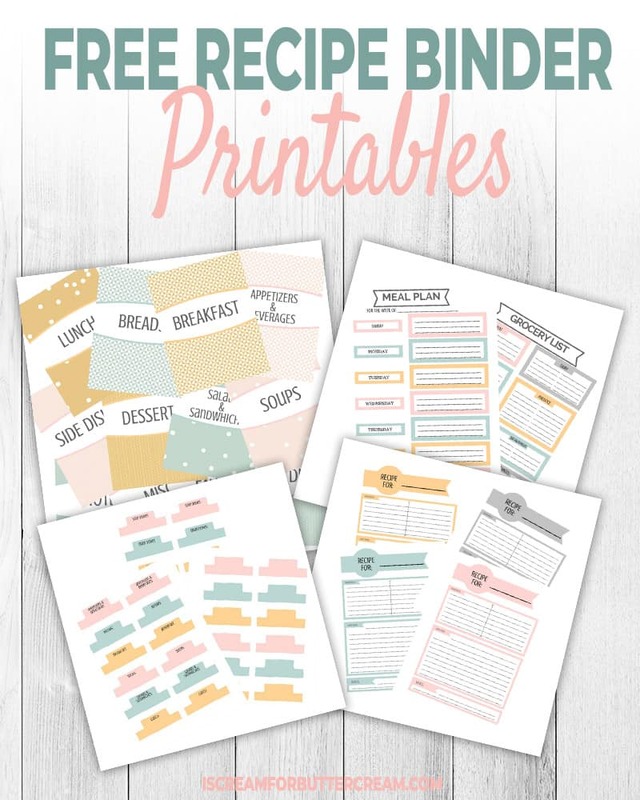 I was feeling generous and I thought perhaps you’d like to get your recipes organized as well…so I’m giving you the recipe binder printables for free. Yay! 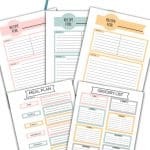 These printables are not only handy, but they’re pretty too and if we’re going to organize, then why not make it pretty at the same time. Below, I’ve added a graphic and link for each section. Just click on the picture or the link and it will download automatically. 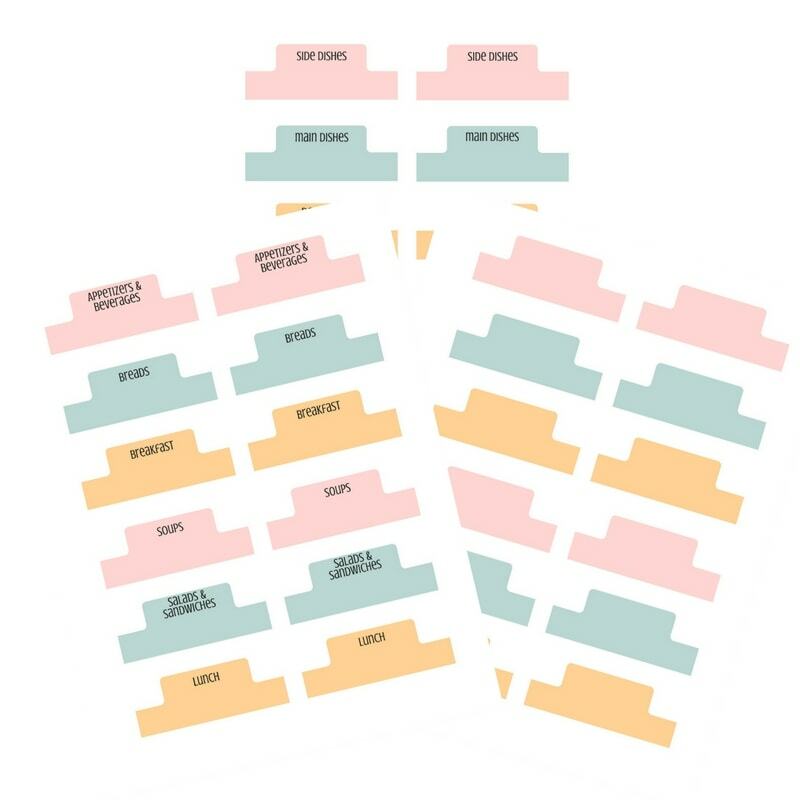 Use these to divide your binder into sections. 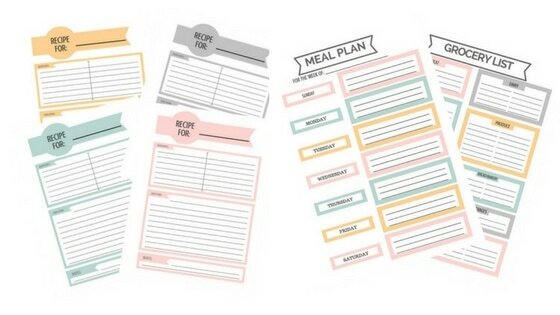 I like to put each recipe page in a clear page protector sheet…cuz I’m a messy cook. 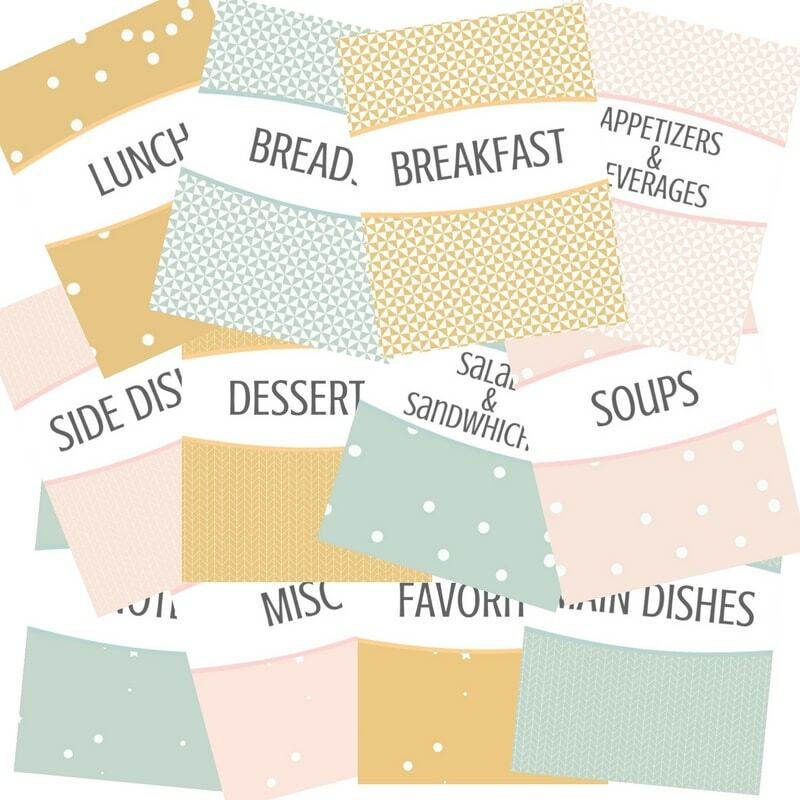 To use these, print the tags onto cardstock paper and cut them out. I used double sided tape to tape one onto the front side of the cover section sheet and then did the same thing for the back of the sheet. 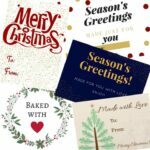 I hope you enjoy these and I hope they are great motivation to get all your recipes organized. I’m loving the fact that now I can go directly to my binder and grab what I need. I love your site but it’s too difficult to understand. 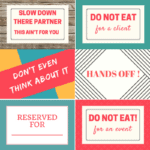 I have read 3 or 4 places of printables I wanted and each time it says to check my email and copy and paste something somewhere but when I go back and look there is no place to copy or paste . just the same things over and over. I wanted to do the binder but couldn’t figure it out either. sorry but this needs to be more beginner user free, please. I love your recipes but need easier directions. thank you. Hi Kathy, I’m so sorry it’s confusing. For this binder, you don’t have to access the library. You can just click on the links provided in this post to get access to all parts of the binder. If you also want access to the printable library, when you subscribe, you’ll enter your email and then it will give you the password to the library and will also give you the link to it. 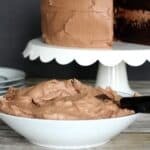 Just in case you don’t see the link, here it is: https://iscreamforbuttercream.com/i-scream-for-buttercream-library/ That is where you can paste, or just type in the password and it’ll let you into the library to get access to all of the printables. 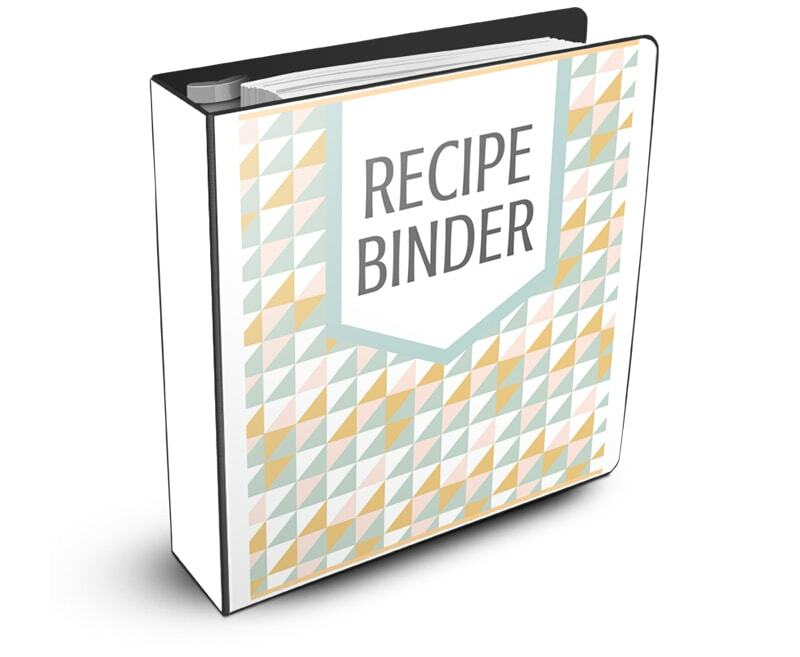 Again, if you just want this recipe binder, you don’t have to access the library. You’ll just click on the links provided in this post. Let me know if you have anymore problems.